Taking its inspiration from Michel Foucault, this volume of essays integrates the analysis of security into the study of modern political and cultural theory. Although the book is dense and written in a language that would connect only to academic audience, it will appeal to a wide-range of specialists from theory and philosophy of security and government, global terror, politics, sociology and human geography. Here's my review of the book on LSE Review of Books. No one writing about security issues is as philosophically astute, conceptually innovative, politically attuned, and eloquent as Michael Dillon. 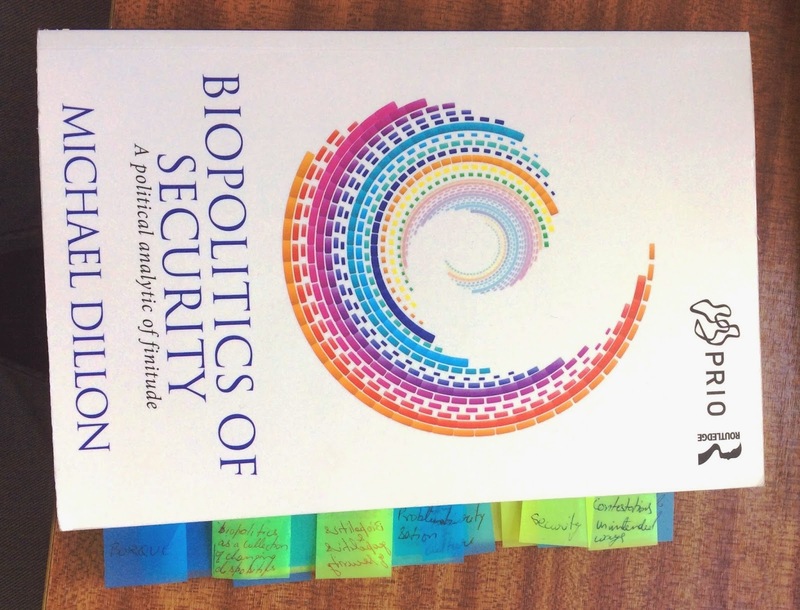 Everyone in academic, journalism, and policy communities concerned with security thinking should read Biopolitics of Security.